I never thought I’d be saying I liked jelly that had yogurt in it but here I am saying just that! 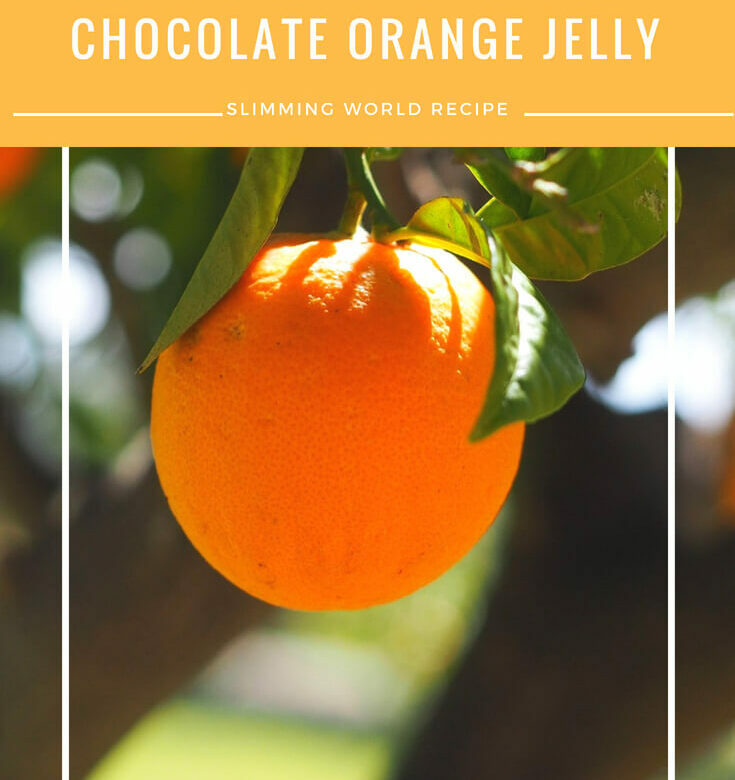 This Slimming World chocolate orange jelly is a lovely dessert and doesn’t take much preparation. Dissolve the jelly crystals in 142ml/ ¼ pint boiling water. Top up with a further 284ml/ ½ pint cold water and set aside to cool completely. Place the yogurt in a bowl and sieve in the cocoa powder and artificial sweetener, beating well to combine. Gently pour the cooled jelly into the yogurt mixture, whisking at the same time, until smooth. Divide the mixture between 4 individual pudding moulds or serving dishes. Place in the fridge for at least 2 hours until set. Meanwhile, using a sharp knife, slice the top and bottom off the orange and slice off the peel, taking away as much of the white pith as possible. Slice between each segment to release the flesh. Cover and chill until required. To serve, dip the moulds in hot water for a few seconds and then invert on to serving plates. Serve with orange segments, and grate over the chocolate. The Post Office Are Starting Christmas Prep Early! If you use the same traybake I used from Tesco (info is on the Brownie Bites post – address below) and cut it into 40 equal portions, it works out at 2 syns each, 1 for the brownie and 1 for the marshmallow but please double check all syn values yourself just in case I’ve made a mistake!